These extra fudgy Gluten Free Brownies just might be the perfect dessert. Filled with cocoa powder and chocolate chips, these brownies boast crispy, chewy edges and a super fudgy chocolate centre. Here are my easy peasy, super fudgy, downright irresistible, double chocolate, gluten free BROWNIES! Outrageously gooey, spectacularly sweet and a cinch to make. What more could you want in life? 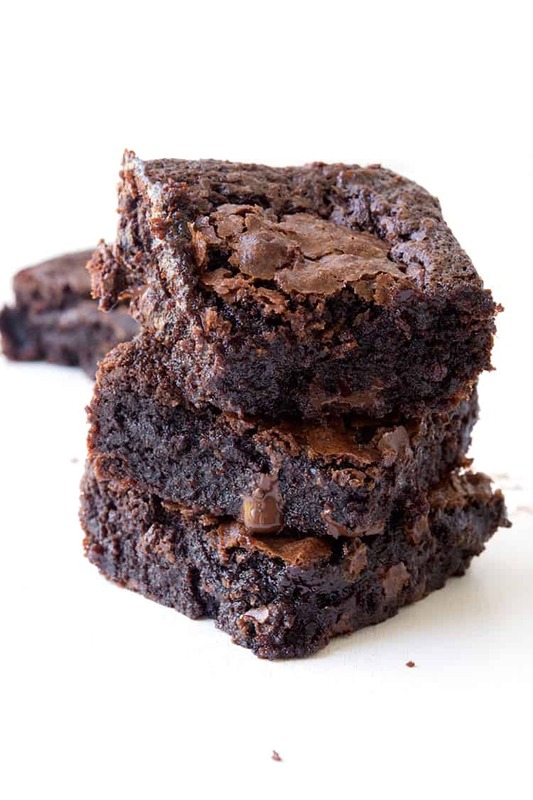 These chocolate fudge brownies are a total lifesaver. I often describe myself to others as a traditional baker. I like to bake with butter and flour and sugar. I don’t deal well with fads or substitutes, even if they do taste exactly the same. I like my baked goods how they’ve were baked back in the old days. With fat and sugar and lots and lots of love. I can’t ignore the fact though, that food intolerances are becoming more and more common and I still want to be able to make dessert for my celiac friends and family. So while gluten free baking is not my strong suit, I wanted to learn how to make a mean gluten free brownie. One that both you and I could have up our sleeve in case we need to bake something gluten free stat. 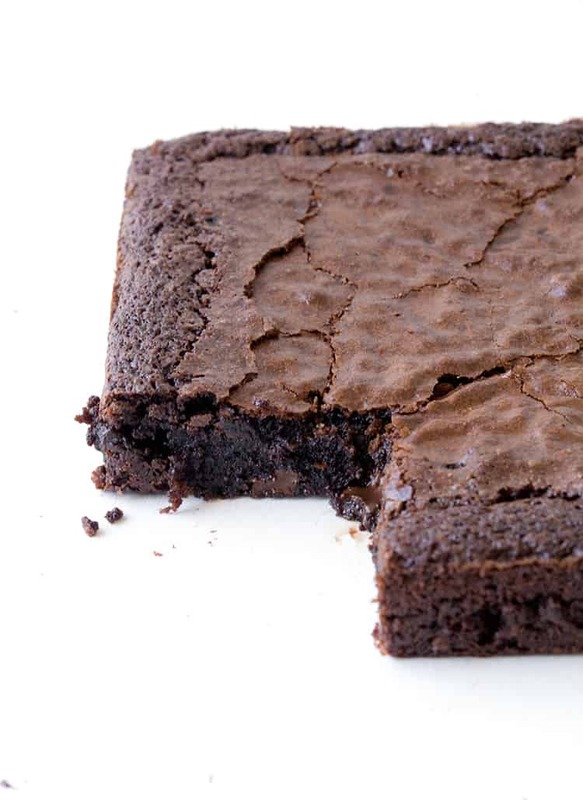 So the question is, can you make a delicious brownie using gluten-free flour? Yes. You. Can. And this is what it looks like 👇🏻 Isn’t she pretty? 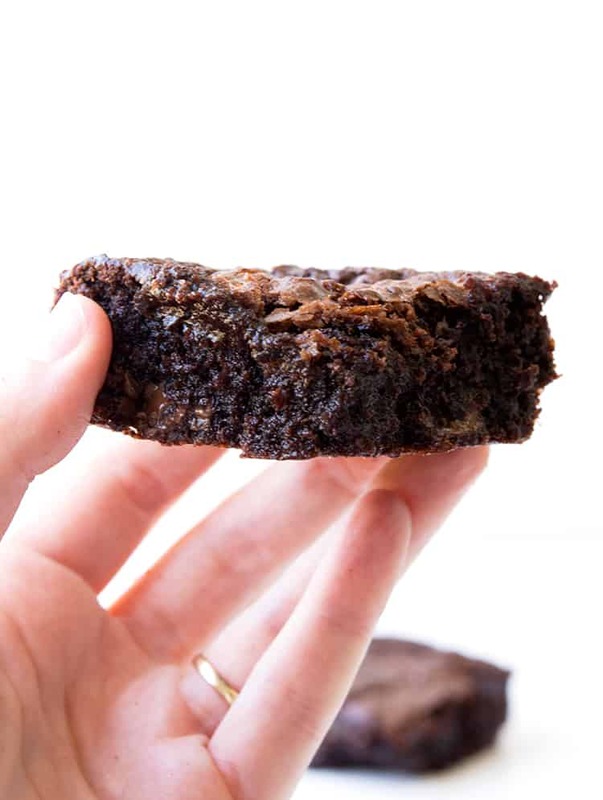 This easy fudgy gluten free brownie has ALL the brownie magic. Crinkly top – check. Chewy edges – check. Gooey middle – check, check, check. 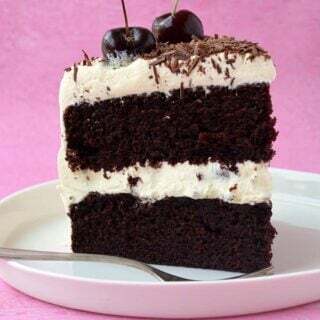 This is an easy mix and stir recipe using cocoa powder as the base. 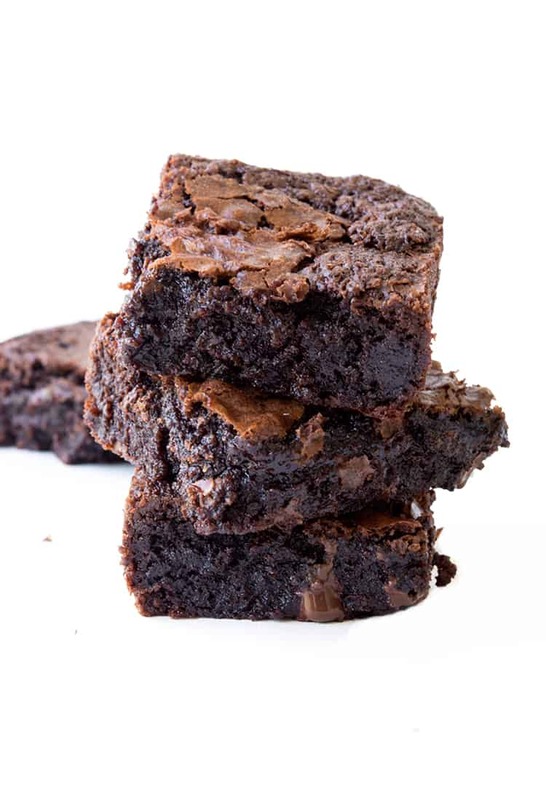 When I was recipe testing, I discovered that gluten free flour isn’t as porous as regular flour, so making a brownie with a melted chocolate base resulted in a brownie that was too wet. Switching to cocoa powder was perfect. 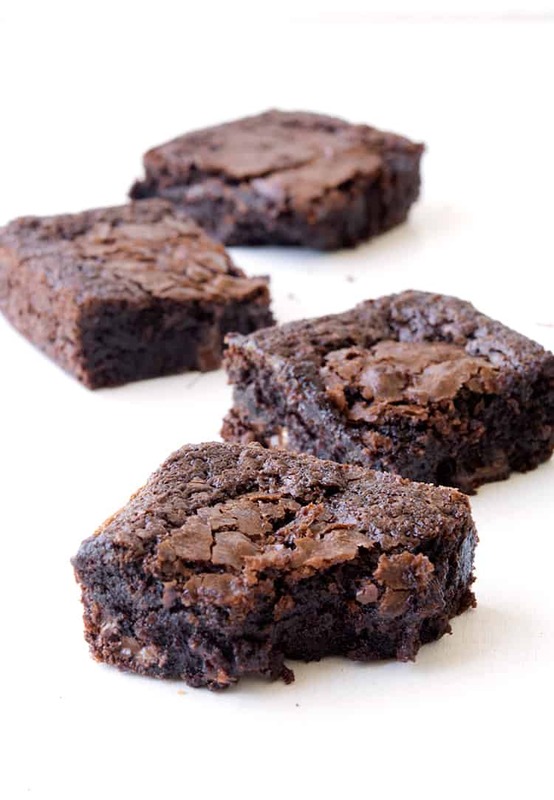 Easy gluten free chocolate brownies with a crinkly top and gooey middle. Pour the brownie batter in the prepared tin and place in the oven. Bake brownies for approximately 30-35 minutes or until they no longer wobble in the middle. Leave in tin and transfer to a wire rack to cool completely. These brownies are quite fragile so if you can, transfer to the fridge for an hour before cutting into squares to serve. *I’m aware that gluten free flour may vary country to country, the one I used was White Wings All Purpose Gluten Free flour. *Check these are gluten free if you are making this for someone who is celiac. 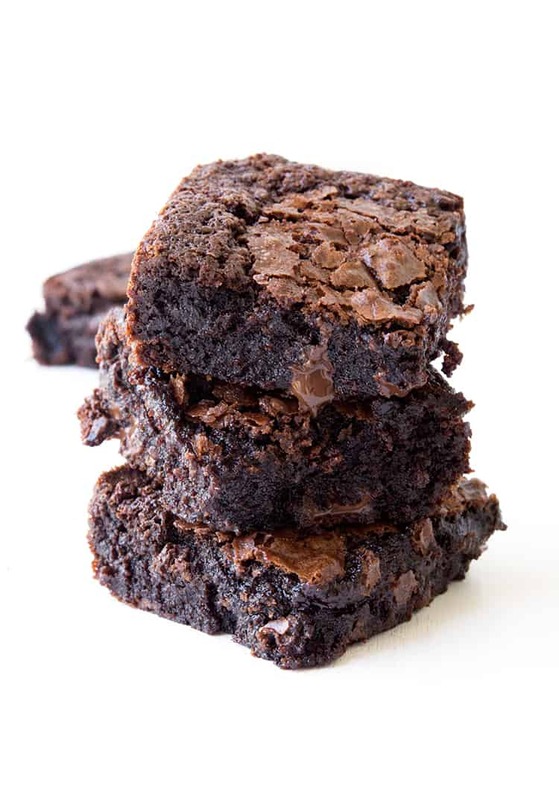 These are so rich and delicious, best brownies i have ever had! I decided to cut them into 16 squares instead on 12, because they are so fudgy and rich, and i sprinkled a little icing sugar on them to finish them off. Aww so glad to hear that Danielle! A question, can you use white chocolate chips? Both me and my sister are ceoliac, and i am soooo excited to try out this recipe. I was only recently diagnosed, and even though i have grown up with my sister being celiac, am am still finding my way around. i LOVE cooking and baking, and i have ever since i was young. i wanted to do some baking these holidays, but i wasn’t allowed to get box mix, and my dad said, make them from scratch, and i found this recipe, and it sound deliciously amazing! Make it look like a “veggie patch”. I licked the knife and OMG! It was stunning! Finger crossed the school think so to- I will let you know the outcome of the contest. It’s going to be tough – but I am sure to get something with these amazing beauties! Hey Charlie! Wow, they sound stunning! I’d love to know how you go in the bake off – do let us know! ☺️ Thank you for trying one of my recipes! 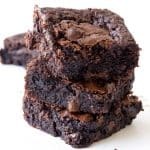 I have tried to make gluten free brownies quite a few times and it just never worked but now this will be my go to recipe!! The only issue is that i can’t stop eating them. thank you for sharing! question: can i still use regular flour, too? I made it twice for work and people were declaring that it was the best brownie they’d ever had! Great for brownie-nosing your boss! Hi Jessica! Does this recipe works with rice flour? My son is not celiac but his Doctor recently found he has gluten intolerance. Thank you! Hi Andreah, I haven’t tested this recipe with rice flour. But gluten free white flour works perfectly. Thanks for the recipe – I’m a novice so I really appreciate the straightforward ingredients and instructions. 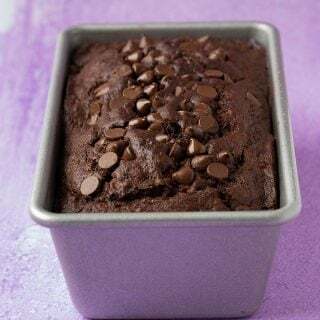 One confusing thing from the ingredients is that 1/2 cup is listed next to 3 different gram measurements (90g brown sugar, 40g cocoa powder, 70g GF plain flour). I’ll go with the gram measurements and see what happens. Hi Veejay, thanks for your question. That’s correct, those three different ingredients weigh different amounts but each one will equal 1/2 cup. I hope that makes sense! But I always recommend using gram measurements when baking. Best brownies I’ve ever made, really lush and indulgent. Served them last night as dessert for my dinner party and everyone loved them. My other half normally isn’t a fan of GF but she. Loved them, too. Your recipe is going into my personal collection for recipes. I used chopped dark and white chocolate and poured them on top (swirling some in with a fork) and it looked so good! Thanks for this great recipe. Just followed your recipe for the gluten free brownies and they turned out perfect. The recipe works well and this is going to be my go-to brownie recipe regardless if cooking for GF guests or not. It just works SO well – chewy edges and fudgy centre. I adapted the recipe by using Aldi white and milk chocolate buttons instead of chocolate chips. I also placed 12 white bottons on top in rows after it came out of the oven so they melted and stuck to the top. When I cut it up there was one on each slice. Wonderful! 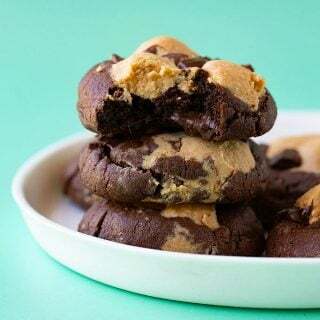 I didn’t have all ingredients on hand, my changes were: no brown sugar so just used 1 & 1/2 cups cane sugar…no chocolate chips so I added an extra 2 TBS cocoa and 2 TBS sugar. And I used Bob’s Red Mill 1 to 1 gluten free flour. The brownies really hit the spot this evening! Thank you so much!! Best gluten free brownie yet , Super soft and not too rich. I add pecan nuts also! Hi Bevs, sorry I haven’t tried this before so I can’t say for sure. If you do try it, let me know how it goes! So glad you liked it George! Making this for the second time this month. Husband (non celiac but gluten free) loved them but didn’t like how all the chunks sank to the bottom. This time no chunks. Simple. this is such an awesome recipe. Best brownie I’ve ever eaten free of gluten or not. So indulgent. Aw thanks so much for the lovely feedback Emma! 😊 So glad you enjoyed them!